We’re grateful beyond words for your response to the premiere of a new documentary featuring Dr. Angela that takes a stand for life coaches worldwide and will help take life coaching further into the mainstream. 150 coaches traveled to Palm Springs, California from all over the United States and beyond to join Dr. Angela and some big-name coaches (including Stephanie Synclair, Jen Gottlieb, Meredith Holley, and Darla LeDoux) to work through blocks brought up by detractors in our personal and professional lives— a major theme in the documentary. You can check out a bunch of the photos here. 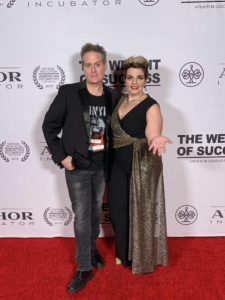 Then we attended the premiere of The Weight Of Success, a warts-and-all documentary that poses the question, “Is Life Coaching A Scam?” and takes input from all sides of the debate, including psychologists and people from a variety of different social and religious backgrounds, followed by a VIP reception. You can check out a video of the day here. Dr. Angela participated in this documentary not just because of the impact life coaching has had on her own life. She did it to help all professionals in the coaching industry – from business coaches to spiritual healers, relationship coaches to alternative pregnancy coaches – whether they are our authors or not. Expanding the cultural conversation around coaching expands the industry and helps all of us to better reach and serve the people who need us most. And this year we can’t wait to see the impact this movie makes as it debuts in theaters worldwide. It’s confirmed next stops are film festivals in Philadelphia, PA, Nice, France, and Aukland and Wellington in New Zealand (click here to be added to an email list and we’ll let you know when it debuts near you). 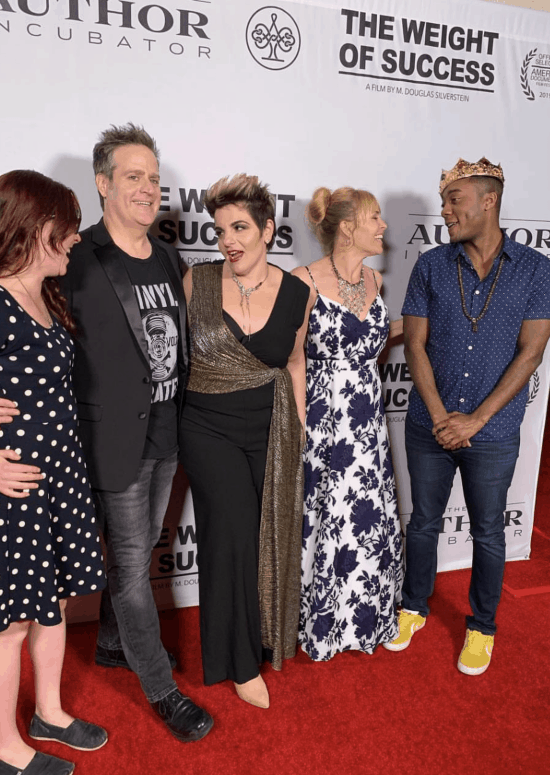 Since the premiere we’re getting another deluge of applicants from life coaches who are inspired by the stand that this movie takes for them, and by how we are empowering coaches just like them to make a bigger and better difference in their clients’ lives by writing a book. The answer is yes, this month we are accepting applications from Life Coaches who want to join our movement as we take the industry mainstream. But as we raise our profile, the amount of interest from transformational entrepreneurs in other industries is increasing, and we are also receiving a lot of applications from fields such as holistic health, business and entrepreneurship, and spirituality. Strategically this is good for everyone – we are positioning life coaches alongside experts from a wide range of industries – however it does mean that for life coaches actually being offered a spot to write your book with us is more competitive than it was in 2018. Because of the premiere, we’re definitely going to award at least 6 spots to life coaches this month, and we’ll keep the rest for accepting transformational entrepreneurs from a mix of the other categories above. To help you position yourself above the crowd and attract an offer from us, make sure you emphasize these points in your application: Your Track Record – have you helped several people already with the solution you’ll be writing about in your book? Your Commitment To Your People – do you think writing a book is just about publishing and letting the checks roll in? Think again. You’ll be investing 4-6 hours per week of work into promoting your book for the rest of 2019 and 2020, and spend the rest of your time building your author business out of serving the clients your book brings to you. Your Readiness To Take Action – we don’t recruit for future cohorts. Make sure if you apply, you’re ready to start writing immediately and in 9 weeks’ time you and the rest of your cohort will be putting your book up for preorder on Amazon. If you think you fit the bill, click here.